It's almost surreal, isn't it? You probably remember dumping a big pile of Lego pieces onto the floor, just so you could sort through your entire collection to find that one missing piece. Your parents probably yelped in agony as they stepped barefoot on a stray Lego from your collection. You also probably had that intense feeling of satisfaction the second you placed the last piece on your latest masterpiece. But the surreal part is that now you're all grown up and your little one is going through all of those same things... and now you're the one stepping on stray Lego pieces on the floor. Well, now you can help take your child's Lego experience to the next level! Instead of just building Legos, your child can actually become one. 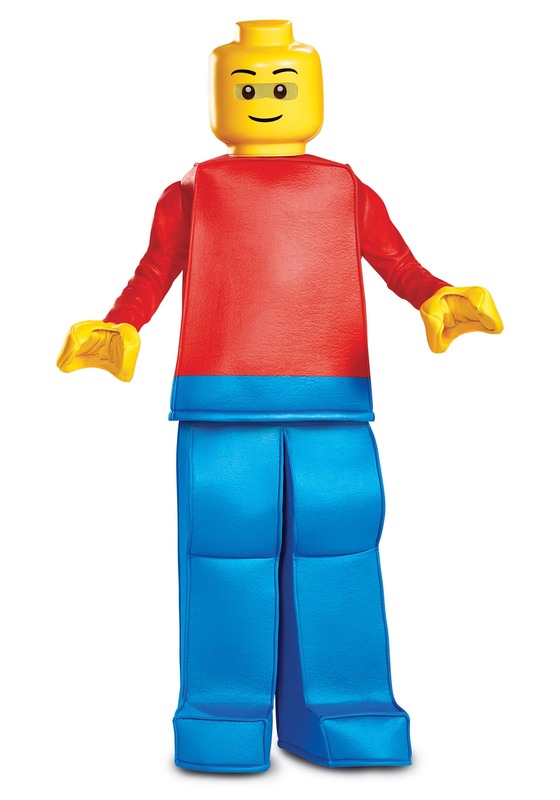 All you need is this child prestige Lego Guy costume and a little bit of imagination. Your child can assume the role of a fairly unassuming Lego Guy when he wears this officially licensed costume. 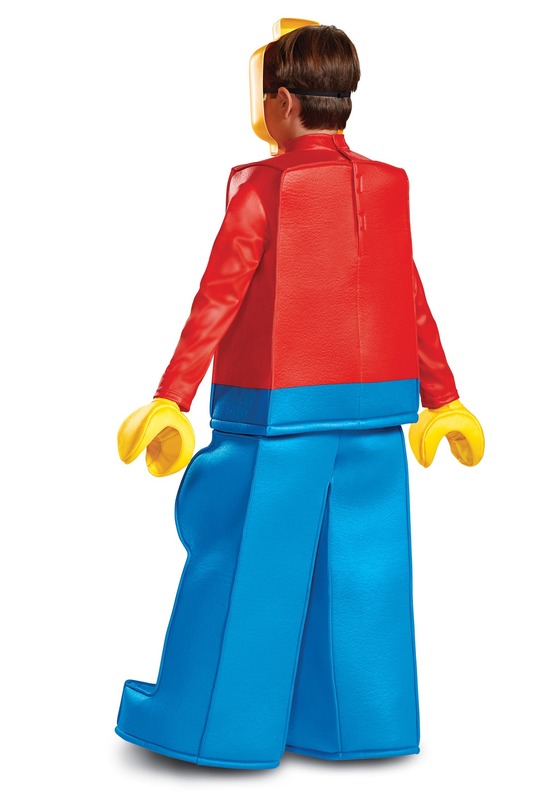 The costume recreates the boxy look of a classic Lego mini-figure using a bright red foam top. The legs are a bright blue color and are made out of the same foam material as the top. It even has shoe covers attached to the bottom of the legs, so your child can wear his favorite pair of shoes with his costume and he won't even have to break character. The mask has a rounded look and a small stud on the top, while the front has the classic smiley face of the very first Lego figures. 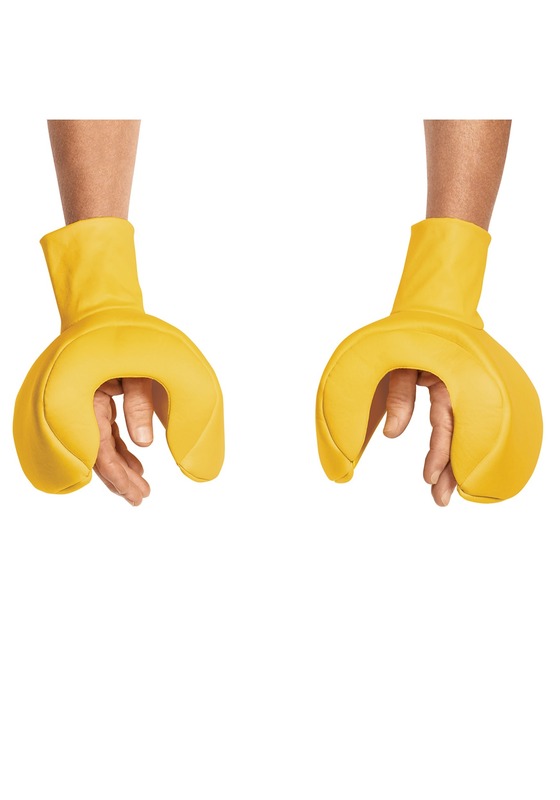 Finally, a pair of Lego hand style gloves gives your child the iconic look of Lego hands. Once your child has this on, it'll be time to decide what kind of Lego Guy he wants to be? Maybe he'll blast off into space as a Lego astronaut, or maybe it's a pirate's life for him with Captain Brickbeard!